In January 2010, Price Breakers of Atlanta merged with The Immediate Resource of Dallas. Price-Breakers became the Atlanta showroom of The Immediate Resource. 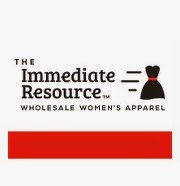 Effective June 1, 2010 Price Breakers, the Atlanta showroom of The Immediate Resource, moved to Dallas, TX. To contact your sales rep, call 800-966-5517. If you are applying for a new account, or reactivating an old account, call the New Customer Manager at 800-966-5517.